Swimming Pool News magazine - Latest News: Organisers Are Putting The SPA Into SPATEX 2015! Organisers Are Putting The SPA Into SPATEX 2015! 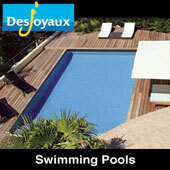 Still think of SPATEX as a swimming pool Exhibition? If so, it’s time to think again. For 2015, the organisers have signed up some market leading spa companies and brands and they are delighted to report that Canadian Spas, Aqua Spa Supplies and Scarborough Spas are joining the likes of Marquis Spas and Spa Crest, plus many more! 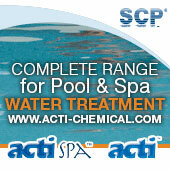 Spas are the focus when it comes to SPATEX’s new educational seminar programme (twice the size of previous years) too. The Exhibition is playing host to the UK’s first ever dedicated free Spa Sessions Day, organised by the ISPE (Institute of Swimming Pool Engineers), on Tuesday 3 February. It’s a must-attend event for anyone involved in the construction, installation and maintenance of spas and hot tubs. Industry experts will deliver a series of talks on topics ranging from 'The water treatment of display spas' to 'Commercial spa management'. 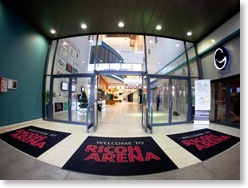 SPATEX 2015 takes place Sunday 1 to Tuesday 3 February 2015 at the Jaguar Exhibition Hall, Ricoh Arena, Coventry CV6 6GE.